Edit: Don't know how, but everything is now ok.
Can I have (we have) different textures for the mills? Not only one for Solitude and the rest of the game a second one? Also... can we have WOODEN SAILS and without fabric sails textiles - in medieval era, they had wooden, without fabric. Without a .esp to change what .nif is used for each mill, no. All the regular mills in the game use the same .nif file, just resized in a couple cases, like Pelagia Farm's. Solitude can have a different texture without a .esp because its mill and fan are part of the .nif for the bridge. I see. Thxs a lot for the reply. Can we have more pics (from users probably) of this edited Windmill resize? 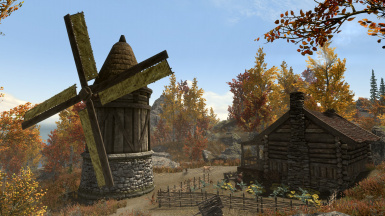 I think all the mills in the game have screenshots now, or at least all the ones in Skyrim proper. If I've missed any, please let me know and tell me where they're located. 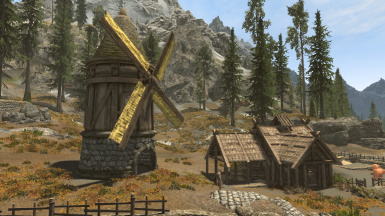 It would overwrite the windmill fans included in that mod, yes, but the mill buildings themselves would be unaffected. 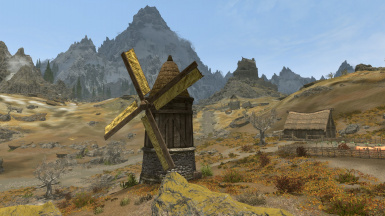 You could also mix-and-match by telling NMM not to let my mod overwrite files from that one, since that mod doesn't affect the Solitude windmill fan. So... that one (the other mod) touches only that mill. Yours, touches all, right? Right. 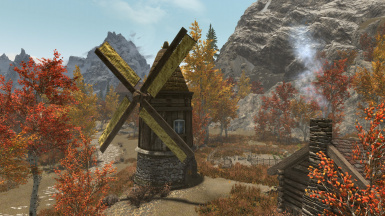 R's Windmills only replaces the farmhouse windmill fan used by the vast majority of windmills in the game, and doesn't affect Solitude's at all. Just installed yesterday... but didn't checked the mills... I was working hard for my aspen trees for the "FORESTS OF DIBELLA". I'll check the mills tonight. Thxs. Any chance of getting the non-sail version of the windmill fan at some point. Basically just need a larger version of the vanilla fan. 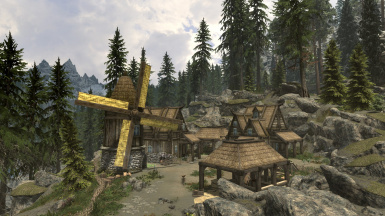 That's kind of outside the scope of this mod, but Pfaffendrill's Windmills resized for Oldrim should work fine in SE and does what you're asking without any of the extra, no-longer-needed-in-SE stuff included in SkyMills, with the exception of Solitude's fan which it doesn't modify. It's working fine for me now, but it wasn't this morning, not long after you posted. I think it just hadn't made it onto the manual download server yet. 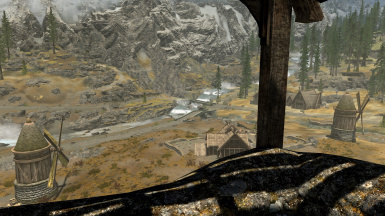 Does this cater for LOD files (for DyndoLod or other LOD generation system). Not purposely, since I only modified a couple of meshes that are also used close up, but SMIM may have had provisions for that, I dunno either way. 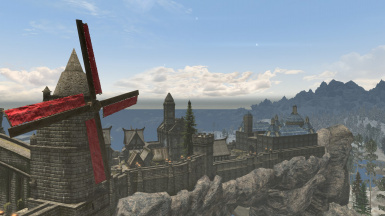 What I can tell you is that the fans (both these and unmodified SMIM, prolly vanilla too) aren't visible in the LOD at all past a certain point, but it's pretty far because I can see Solitude's windmill fan all the way from Morthal, at minimum. 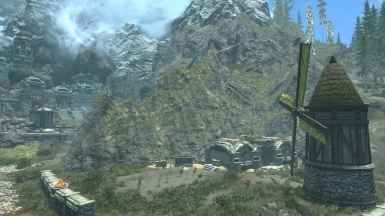 I am fairly sure these objects are in the large reference grid that SSE uses to display larger items in the unloaded cells (beond Ugrids to load). Thanks for the answer, guys.